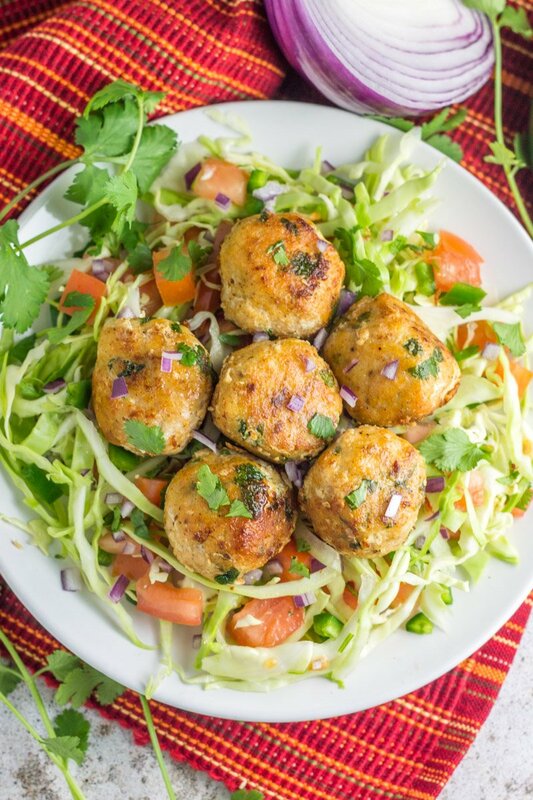 It’s fiesta time with these fish taco balls over pico de gallo slaw. 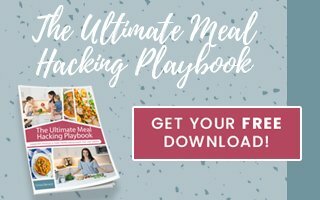 This reinvented fish taco recipe is paleo and Whole30 compliant, served over a base of pico-inspired shredded cabbage. A healthy, protein-packed, grain free way to jazz up dinnertime. If you haven’t tried fish tacos, just stop reading, find one, and shove it in your mouth immediately. I don’t care if you live in the middle of Canada, a small town in West Virginia, or some random village in the rainforest, just do it. I love fish tacos as much as I love sleeping in, but lucky (or unlucky) for me, I experience fish tacos WAY more than sleeping in these days. What’s just a good as tacos? Meatballs (duh). Don’t even act like you don’t agree. I’m pretty sure I read it in the Bible (or maybe somewhere on Facebook). Combine a fish taco AND a meatball? MIND.BLOWN. It’s like a day of sleeping in as late as you want, then sitting front row of the US vs Canada winter Olympics hockey game, then jetting off to the rainforest for a stay in an exotic/totally commercialized bungalow, then heading to West Virginia. Wait, scratch the West Virginia part. 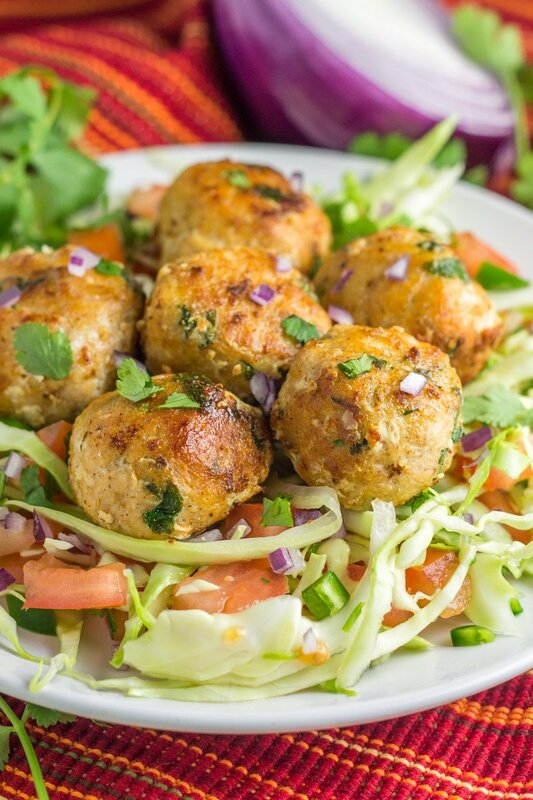 Back to these fish taco balls over pico de gallo slaw – this meal is EVERYTHING. I love me a good fish taco, but this dish is just fun, and incorporates all of my favorite ingredients found in traditional fish tacos. We’ve got cod, a DIY taco spice blend, cilantro, lime, shredded cabbage, then of course the tomato, jalapeño, and red onion. Drool alert. My kids gobbled them up – having zero clue what they heck they were eating, but liking it nonetheless. And I’m ok with that. Like, really (really) ok with that. 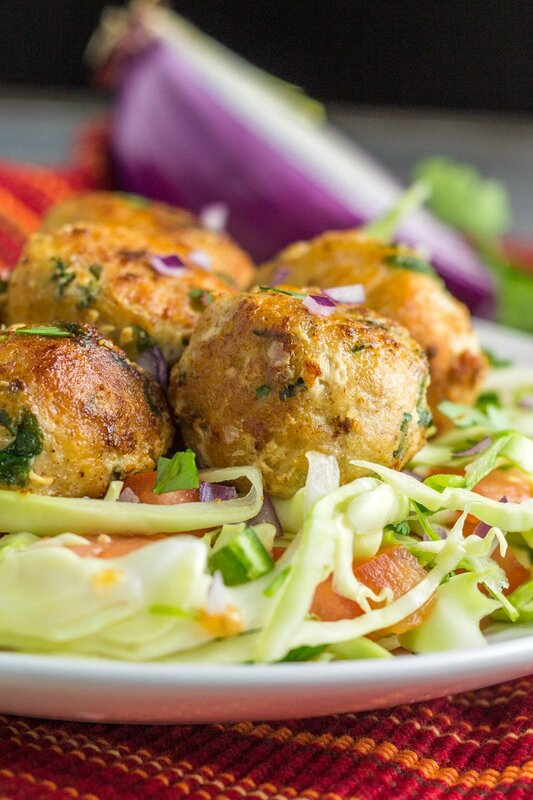 If you can blend up a few filets of fish, add some spices with lime juice and zest, form into balls, then fry ’em up, you’re fully capable to throw down these fish taco balls over pico de gallo slaw like a pro. This recipe is a must try as the weather starts to warm up and you’ve got tacos and margaritas on the brain (confession: a year-round occurrence for me). 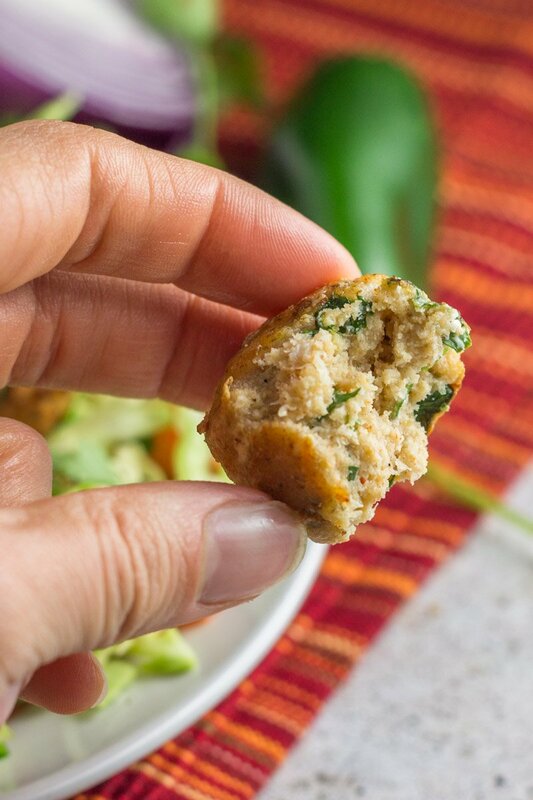 Be sure to pair these fish taco balls over pico de gallo slaw with a cool, sweet dessert like these Paleo Key Lime Pie Balls, Creme De Menthe Avocado Fudgsicles, No Bake Paleo Chocolate Mango Bars, or this No Bake Paleo Fruit Pizza. 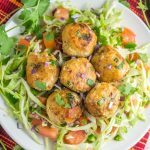 Paleo and Whole30 compliant Fish Taco Balls over Pico De Gallo Slaw combines the best of worth worlds – fish tacos and meatballs! A simple dinner that’s easy to make, and bursting with fresh flavor. Family approved. These look amazing and I’m sure my kids would eat them! Do you think these would work with any type of fish? Would love to know as well! Thinking mahi mahi…..
Yep, any fish should work! Yummmm! Can’t wait to try this! I have mahi mahi and salmon would either of those work? Both should work just fine! We have nut allergies in our house. Is there a possible substitute for the almond flour? You could try playing with coconut flour! Are these good reheated later in the week? 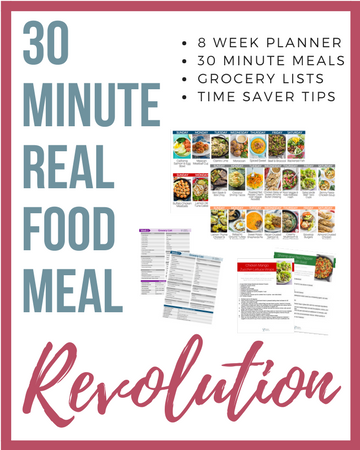 Looking for a quick lunch during the week or a make ahead dinner. As a busy mom of three boys I look forward to your IG stories! YES I absolutely did. Thanks so much Amy! What happens if you use the entire egg? Just curious why egg whites and if I try using the entire egg if it would throw something off. Love your Insta stories! !